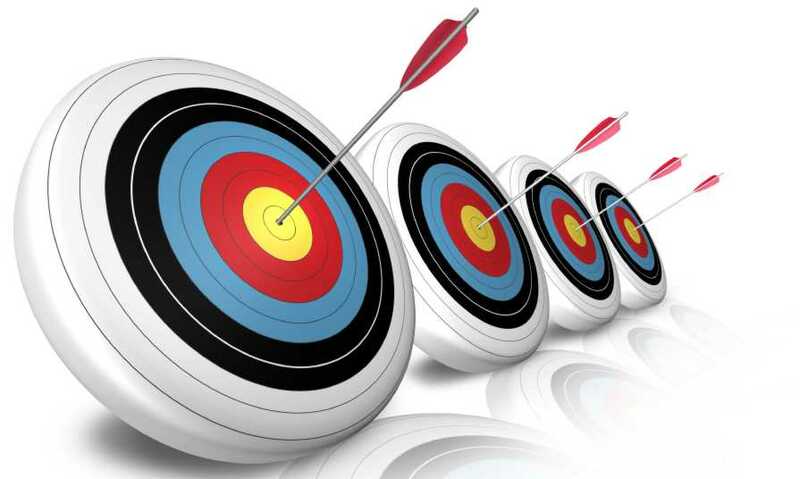 Seven Reasons You Are Not Hitting Sales Targets! Most sales organizations do not hit sales targets on a regular basis and before you leap to the ongoing recession that is not the reason – presumably the current state of the economy has not caught you by surprise! Hope is not a strategy and is not scientific, every action does have a predictable outcome. In sales we can test and by testing get a reasonably good expectation of the outcomes. If the inputs are known then the outcomes will be accurately predicted! Here are five reasons you are not hitting your sales targets. 1) You do not have a clear, highly defined, overall business plan. Without an overall business plan different aspects of the business will tend to move toward different goals. Long-term goals are often substituted by numerous short-term goals. This dilutes the energy and the resources of the business. 2) You do not have a sales process. A sales process is much like a business plan but designed specifically for sales efforts. A well-designed sales process allows us to know the resources available and the results from the use of those resources. Every cause has an effect, know your cause and know your effect. 3) You do not have a sales-focused organization. This is a big one and most businesses get this wrong. A sales-focused business is exactly that – selling is the focus of the business and everything else built around the selling function. When this is the case your business does not have an uphill battle to sell what you have. You first prove that you have a saleable product or service and then design the rest of the business – accounting, production, and delivery around supporting the sale! 4) Your salespeople are not trained. Selling is like any other skill – football for example. Most people are quick to say footballers like Beckham are successful because they’re talented. But pay attention to this quote by Alex Ferguson, David Beckham’s early mentor and coach at Manchester United, “Beckham practiced with a discipline to achieve an accuracy that other players wouldn’t care about” Beckham trains six hours a day six days a week. Most salespeople I meet have not read a book on sales or taken a sales course for years – are they really performing at their best? 5) Your activities are not aligned. In too many organizations the salesperson gets an order then told by production that they can not deliver, by accounting that the payment terms are not acceptable and by the owner to say they should sell what we have not what the customer wants. What percentage of your customers would never work with you again because you delivered late or your quality was not what to the level promised? Get your entire team working as a team toward winning the sale! 6) You don’t believe in your own success! Many people buy into ideas that hold them back like the market is too small or prices too high and decide success is impossible. The fact is that the greatest indicator of sales success is your view of the world not the view that other’s hold. Don’t let the small world view of others hold you back. 7) Thinking too small. Many salespeople miss the big opportunities and the big customers because they are too intimidated to go after the business. It is essentially as easy to close the biggest customer as it is to close small customers and often larger customers are much less trouble and hugely more profitable in the long run. Turn your business upside down and think of every action, every rule, and every policy as supporting the sale. Do this and your business will be very different!